Not feeling like taking a leap to a summer holiday destination, yet wish to create an outdoor movie theatre in your backyard? Are you stuck deciding on an outdoor DVD projector because you think the price of the best would leave a dent in your pocket? Well, everyone deserves memorable summer experiences; even if you choose to stay at home. 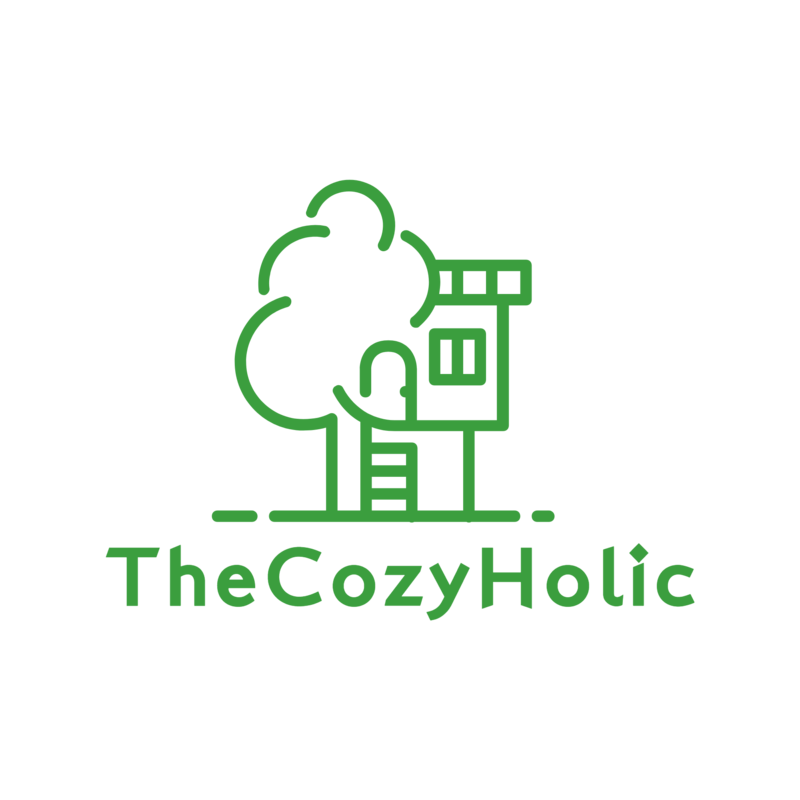 Thus, you must shop around for the best movies, entertainment systems, or even invest in a portable outdoor movie screen. 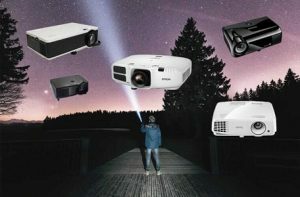 With this outdoor projector review, we want to help you make the right decision when it comes to buying the best device that will make your holiday fantasies come true. So, how do you choose the one that is right for you? Does the price matter? What features should a good projector have? No worries, we have the answers. Type of Projector: DLP or LCD? BenQ DLP HD 1080P Projector (W1070) 3D, With Lens Shift Technology and an RBG colour wheel. Video Projector Wi-Fi Wireless Max 200-inch, 4200 Luminous LED LCD Display, FHD, HDMI, USB, Android compatible Home Theatre Projector. For those who have already invested in an outdoor home theatre this may be obvious, but not to a first timer looking for the best outdoor HD projector. 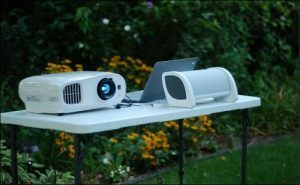 LCD and DLP are the two main types of the projector for outdoor movies you will find in the market. DLP stands for Digital Light Procession, while LCD is a short form of Liquid Crystal Display. While both need a light source to operate, DLP uses a combination of colours, usually on a wheel and a chip with tilting mirrors to produce images on your backyard screen. LCD, on the other hand, utilizes a chip with RGB (primary colours) to create the image. So, why would you choose one over the other? If you want energy-saving, brighter screens and an outdoor movie projector that overcomes the rainbow effect, then LCDs are the way to go. However, you must take note that they do not have great colour contrast. It means that DLPs provide the best solutions to those looking for deeper blacks, and high colour contrast, but fail the rainbow effect test. Not to mention they consume a lot of energy. 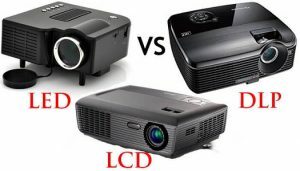 In a nutshell, LCD is arguably preferred but ranks lower than an outdoor LED projector. Other types include LCOS (Liquid Crystal on Silicon), SXRD (Silicon Crystal Reflective Display). and D-ILA (Digital Imaging Light Amplification). The aspect ratio, otherwise known as the image resolution, is an important factor to consider when shopping for the best projector for your outdoor screens. It is the number of pixels the device can cast on a screen area – the higher the pixel ratio, the sharper the image. On the contrary, fewer pixels per the given area results in unclear and soft images. The rule of the thumb here is to buy an outdoor HD projector with a pixel value not less than 720p, so no matter how close you sit you will still enjoy a high-quality image. A 1080p outdoor projector is an affordable option today since most projectors come with a 1080p resolution as a default setting – a factor Home’N’Roll takes into consideration when reviewing the best available items on Amazon. Take a closer look at the lumen rating before purchasing your perfect projector. You do not want to spend a movie night with a low-quality outdoor projection system. For the best image output and brightness, it is advisable to buy from a 1K ANSI lumen rating and above. Other factors to help choose the right lighting and brightness in a projector for outdoor use, are the size of your outdoor big screen, the size of the theatre and the seating distance from the screen. Many projectors have different input configurations, so when you are looking for the best outdoor projector, the number of ports comes into the picture. The good news is that 21st-century gadgets provide users with many options. In this case, think about HDMI ports with a value rating of not less than 1.4 for the best video and audio input-output quality. Apart from the above features, buyers should consider pricing which varies from one model to another. Aso thinks of the size of an outdoor screen projector, or whether the portability of the gadget is a concern as well. It is also imperative to make a decision based on the lighting source, in which case replaceable projector lamps, LED, or laser projection are among competitive options. Can I have a backyard movie theatre without a screen? Everyone wants to know whether it is possible to have an outdoor movie screen without spending money on one. While not free, a DIY project making a larger outdoor projector screen will save you a few bucks. You only need to acquire a few building materials before applying knowledge from an expert outdoor screen and projector assembling guide. Whether buying a wireless outdoor projector or an outdoor laser projector, buying decisions sometimes depend on the manufacturer model, like in case of an Epson outdoor projector. 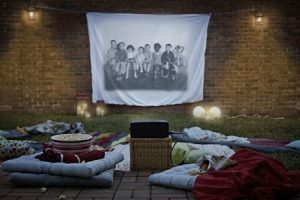 At Home’N’Roll, we believe the aforementioned tips should help you choose the best outdoor projector for the money. Now let’s take a look at the list we have put together in this review. It is an outdoor video projector that is a great solution to those looking for HD movie screening in 1080p. The highest aspect ratio up to 16:9. A great contrast ratio of 2000:1. It is also compatible with PCs, Chrome Books, laptops and smartphones. Buyers enjoy a 3-years manufacturer warranty, which includes a money-back guarantee. It only weighs 3 pounds. Enjoy watching movies in high definition. It is not ideal for presentation projects in PowerPoint, Excel, and Word, etc. It fits the bill for a big screen in your outdoor movie backyard up to 200 inches. High contrast ratio up to 10,000:1. Top level ANSI lumen rating with a brightness rating of 2000. The BenQ DLP HD 1080p comes with built-in speakers. A power output of 10 watts. It is HD image ready, with 3D plug and plays speakers. A Widescreen measuring 8 inches high. Choose from a range of colours such as white and silver. It is one of the best outdoor screen projectors that saves energy. You have to buy 2AA batteries separately. Meyoung manufactures some of the best projectors in the market and this high-performance mini option doesn’t disappoint. So, what features make it stand out? It has inputs compatible with USB, SD, and mobile HDD. Ready built-in HD speakers to spruce up your outdoor movie system. The aspect ratio of 4:3 and 16:9. 30-50 inches throw screen range. 4.9 to 13.12 feet throw distance. Meyoung TC80 is a plug and play projector recommended for those looking for an outdoor project setup compatible with HDMI-enabled devices such as smartphones, laptops, tablets, and TV sets. The fact that it supports multiple video and audio formats makes it a top choice for people who want to experience entertainment on the go. High-performance thanks to an HD visual experience. Lightweight at only 2 pounds, hence portable. Lamp life lasts up to 30000 hours. It is not the best for business presentations. Energy output of 10 watts. Display height of up to 6 inches. Its compatibility with computers includes HD, FHD, WXGA, UXGA, SXGA, XGA, SVGA, VGA to Mac. It presents a high-contrast ratio of 23000:1, which is suitable for your backyard outdoor theatre. Optoma HD 142X is recommended for those looking for an all-season outdoor entertainment gadget because it can operate in a wide range of weather conditions such: 40-105 degrees F, 85% humidity, and 10,000 feet altitude. A long lamp life rated 8000 hours means you can watch 2-hour movies every day for ten years or more. 10W builtin speaker brings a plug and play experience into your viewing space. FHD resolution combined with a high contrast and lumen rating gives you the ability to enjoy every scene in a movie. It does not operate on shift lens technology. It operates on 3-chip, 3LCD technology, this is a perfect choice for an outdoor cinema screen for summer viewing. Supports HDMI, so you’ll have no trouble connecting it to your laptop. With a 3200 ANSI lumen rating, the Epson VS320 projects clear pictures even in lit rooms. A native resolution of SVGA makes it easy to do everyday project presentations when you choose this gadget. There are many reasons we would recommend the Epson VS320 as a good outdoor projector, one of them is that it has been recently voted the number one brand for HD image quality. Enjoy 3 times in image brightness. Compatible with a wide range of devices such as laptops, TVs, smartphones, and tablets. Not very good when it comes to displaying text hence not recommended for professional presentations. iDGLAX LCD Idg-787W LCD/LED mini projector is not only compatible but is also great for watching films at home and video gaming, especially in dark environments. It is compatible with gaming consoles such as PS2, PS3, Wii and Xbox. It is ideal for big screen projection with an image size varying from 30 to 100 inches, and from a distance of 6-9 feet. Buyers enjoy 3-year leading manufacturer servicing. The native resolution of 800×840 plus HDMI compatibility. Supports aspect ratio of 16:9/4:3 and 1000:1 this high contrast outdoor image projector features USB compatibility. It features upgraded LED technology to spruce up your movie nights with a million plus bright colours. Up to 2000 LED lamp hours. 1000:1 is quite low hence not recommended for business presentations. The latest version is 2019 upgraded to full HD experience. High image resolution of up to 1920×1080, which is the highest native pixel value in the market. It features 2 USB ports. It comes with a 3-year manufacturer product warranty. QKK mini projector is highly recommended for those looking for the best outdoor movie equipment because it supports various multimedia devices. It comes with 1 tripod mount. Up to 50000 lamp life hours. If QKK, Epson, or any other brand doesn’t fit into your needs, then there is nothing wrong with trying ViewSonic models. The question is; what makes this WXGA-styled projector worth the money? It has 20000:1 contrast ratio. It is durable and duest resistant. It supports VGA, HDMI, and USB inputs. ViewSonic PJD5555W is compatible with Mac, Windows, Amazon fire stick, Apple TV, Chromecast, DVD players ,and many other peripheries. Vertical keystoning capability on big screens measuring up to 270 inches. Enjoy a wide range of warranty provisions on the device (3 years), lamp (1 year) and more. Ideal for small business presentations, home entertainment, and education. 2w built-in speakers do not provide very good sound quality. High level of brightness at 2300 lumens. Supports 2D and 3D image conversion, thanks to RF two pair glasses. Boasts of 40000:1 contrast ratio. Epson Home also features a builtin speaker. Supports HDMI, USB and VGA inputs. It is energy efficient, thanks to a 10 watt power consumption rating. It is also one of the most affordable projectors in the market. High image resolution of 1080p. There are occasional issues with keystone correction. Compatible with Android 6.0 system. Connects to your laptop, smartphone, and other smart gadgets wirelessly. HD display performance with up to 4200 lumens and a native resolution of 1280X800. FHD resolution of 1080p or 1920×1200 colors. Lamp life of up to 50000 hours, giving you years of amazing outdoor summer entertainment. It features epic high-quality audio sound effects, thanks to builtin 10W Dolby speakers. Supports aspect ratios of 16:9/4:3; 6.56-19.66 feet projection distance and an image size of 50-200 inches. Supports digital HDMI, USB, flash drives, and TV inputs. Image flip function at 360-degrees. Enjoy a 1-year product warranty and 3-months money back guarantee. It features top quality design and also perfect for keystone correction. The product is Rohs Certified. Conclusion: What is the best outdoor home theater? The best projector is hard to come by, especially if you want to spend summers watching movies in the backyard. However, CAIWEI’s wireless projector presents some amazing features you won’t find in most outdoor portable projectors. From Wi-Fi functionality, Dolby builtin speakers, a Max 200-inch image size, a 4200 Luminous LED LCD Display, FHD, HDMI, USB, and Android compatibility, your search for the best project ends here. However, Epson VS250 SVGA 3,200 lumens, HDMI 3LCD Projector presents a great alternative for the money.